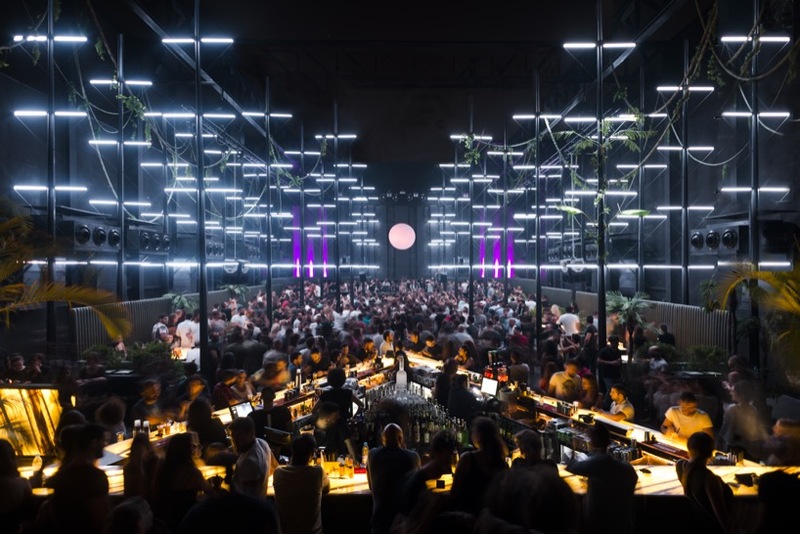 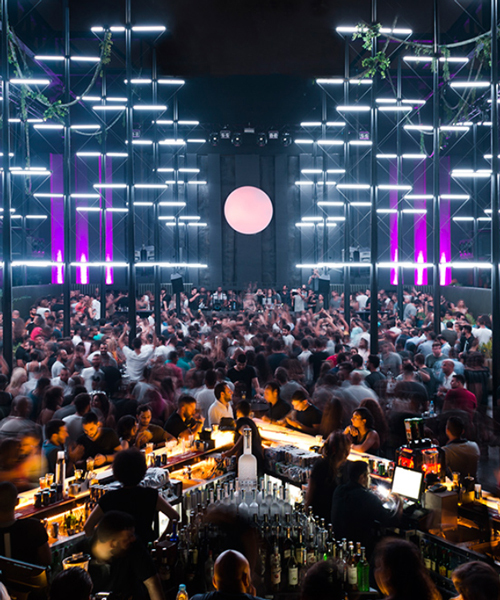 architecture firm RG/A is continuing its transformation of beirut‘s booming nightlife with the launch of AHM – a ground-breaking dance pantheon located in the heart of beirut. 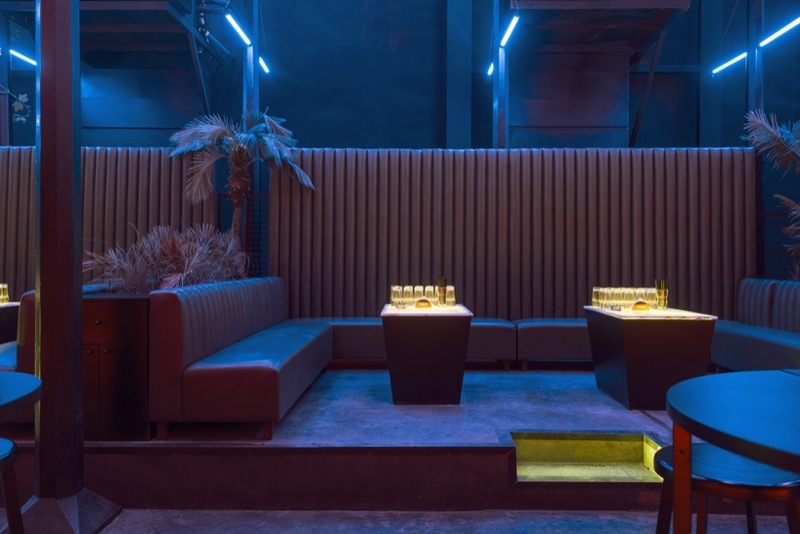 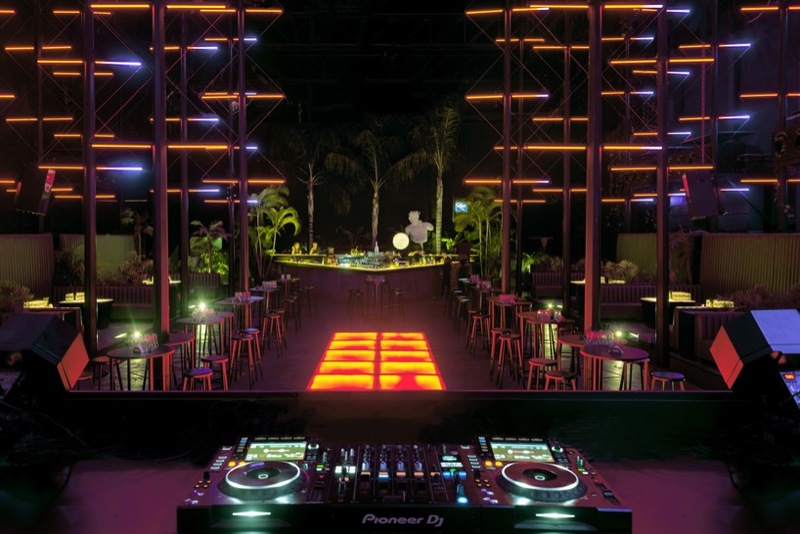 anchored within the city’s upcoming waterfront district, the new nightclub is situated on 1200sqm of reclaimed land, and features a temple-like open top design that aims to reignite the imagination of the city’s club-goers. 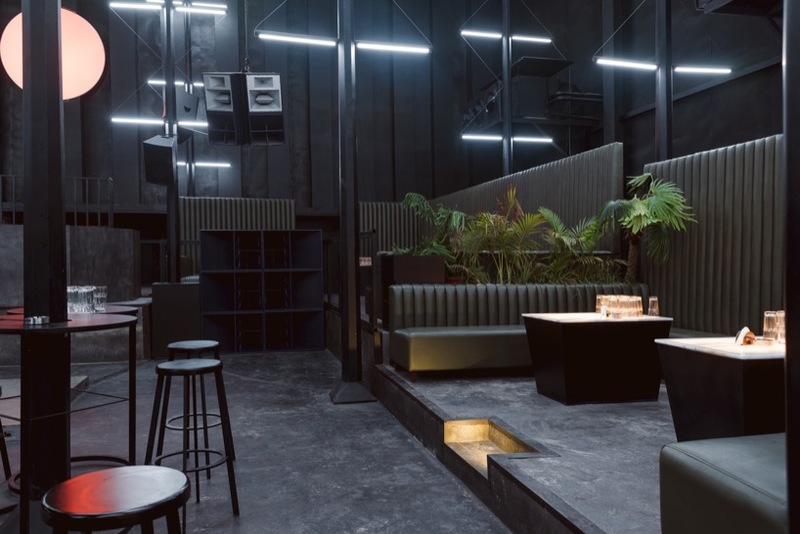 influenced by the surrounding mediterranean sea, mast-like structures and linear lighting dominate the space, mirroring the formation of a ship on the sea. 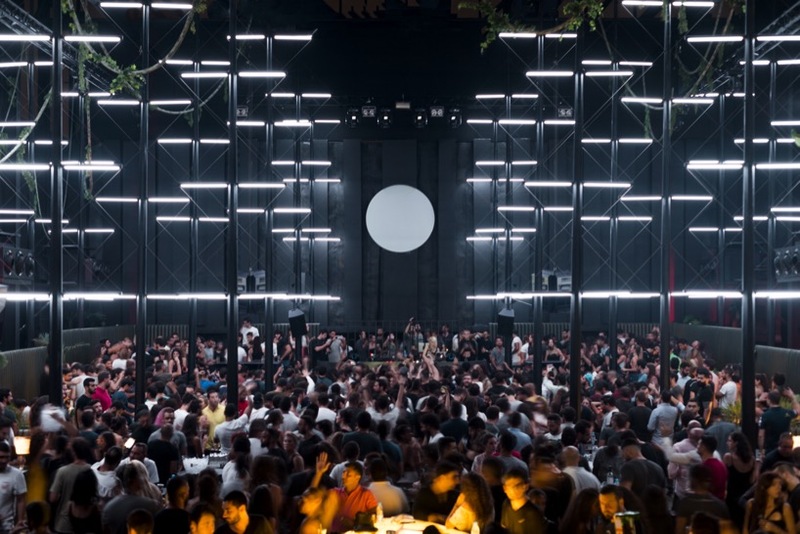 a circular focal point remains a constant within the space, emulating the iconic rising sun or a full moon and drawing eyes to the neighboring suburban cityscape. 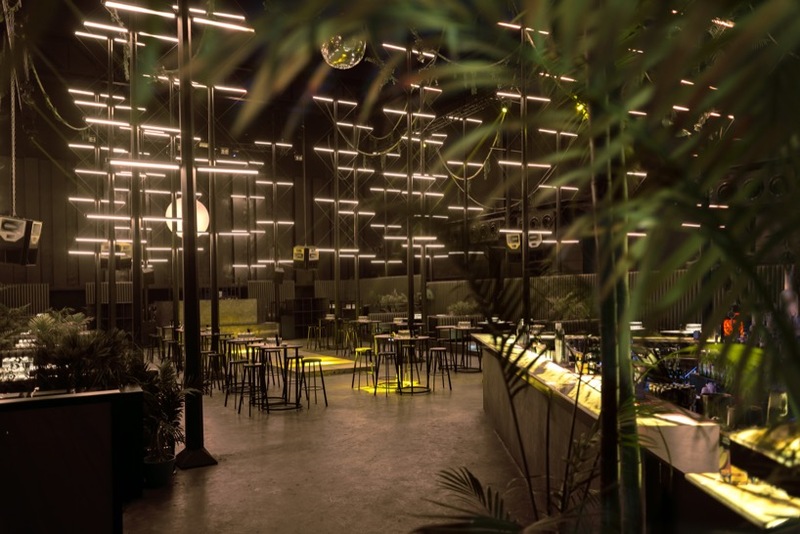 the vertical components play with light and provide a wayfaring sense of nostalgia and openness. 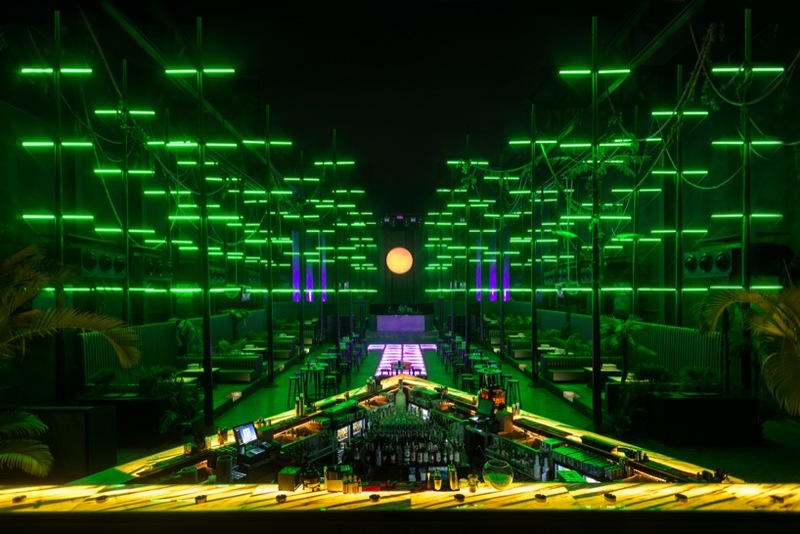 other design elements within the RG/A-designed club can adapt to the rolling itinerary of themed nights, allowing adventurers to immerse themselves in an alternative voyage on each visit. 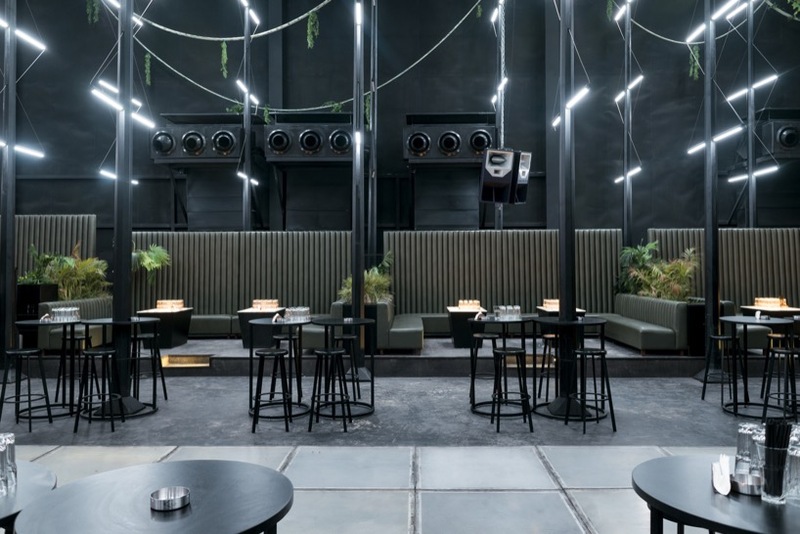 greenery engulfs the booths within the club, further bringing the outside in and echoing the importance of nature on happiness and wellbeing.